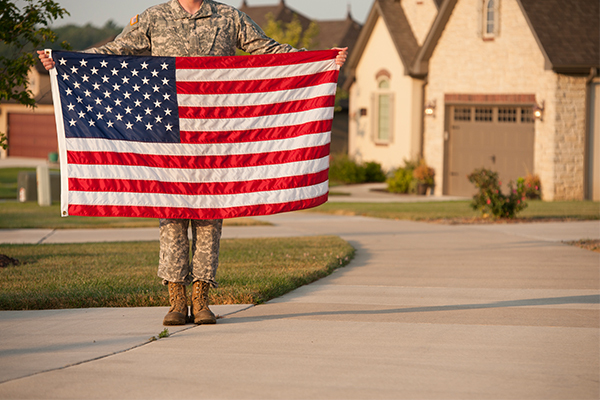 Veterans Affairs home loans offer big-time benefits for qualified buyers, from no down payment or mortgage insurance to more flexible and forgiving requirements. But this is also a specialized loan program aimed at helping veterans and military members purchase homes that are safe, sound, and sanitary. That means some properties will be a better fit for VA loans than others. Here’s a look at three key tips for VA buyers preparing to start the house hunt. One of the most critical steps VA home buyers can take is to contact a military-friendly real estate agent who has experience with VA loans. Agents familiar with VA loans recognize the unique needs of veterans and military families. They also understand the short buying window that often comes with Permanent Change of Station orders for active-duty service members. VA-savvy agents are also committed to giving back to the men and women serving their country. This combination of dedication and knowledge makes these agents a vital part of any VA borrower’s home-buying journey. A good rule of thumb for buyers is to consider those three “S’s” and look for homes that are safe, sanitary, and structurally sound. These properties are more likely to pass the VA appraisal and save buyers a few headaches down the road. Fixer-uppers can be tough given the VA’s minimum property requirements. These are broad-based concerns like ensuring the property has adequate heating, roofing, and safety features. Major issues would need to be repaired before the loan could close. VA buyers should also consider properties that meet the VA’s outline for acceptable uses, and be wary of manufactured homes and homes in disrepair. When it comes to purchasing foreclosures, home buyers should be aware of the trade-off between potential savings and potential frustration. Buyers may save a good chunk of change purchasing a foreclosure, but if things fall through, you might be out several hundred dollars in appraisals and inspections. Foreclosures can also take months to close. The other consideration is that some distressed properties are in better shape than others. Foreclosures are typically sold “as-is,” meaning banks and lenders aren’t likely to make or even allow repairs before closing. VA buyers who choose to pursue a foreclosed property should proceed with caution and patience.